Give us a try – it’s free! No commitment or credit card details are needed to try us out. Plus, all our features are instantly available! Sign up today and get free credit to give TxtSync a try! 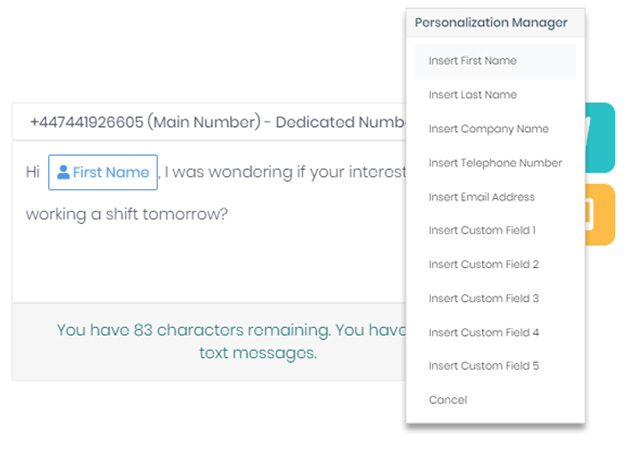 Before you know it’s you’ll be using our user-interface like a pro to SMS customers. Our texting controls making it not just a doddle to send them, but also letting you include emojis, web links, media and personalisations. There’re also no surprises on cost. We always let you know the size of your SMS and how much it’ll be. Compose SMS Write your message. Insert emojis, web links and media. Choose your number. Know the cost. People respond better when they get an individual SMS sent to them. So start adding that personal touch to every message using TxtSync. At the click of a button you can include a contact name, company details, telephone number or any other individual information you’d like to add. You can do all this whether you’re sending one or one million messages, so being personal couldn't be easier. Before you send any message you can preview it will look like on a mobile device. This gives you 100% confidence that you have the right links, images or personalisation for each contact. Also, we’ll tell you the cost so you know everything’s in budget. Have a natter with ease! Two-way communication is crucial for any business wanting to build and maintain a lasting relationship with their customers. That's why we capture SMS replies from yours then show them as little notification to you. 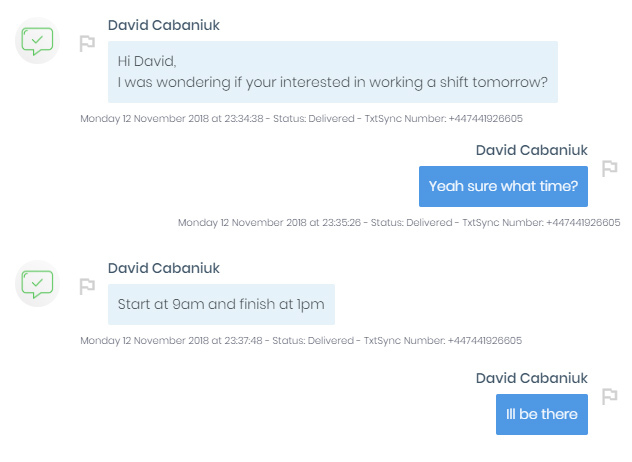 Which means you’ll never miss an important message and you can respond quickly and easily to customers so they are never left waiting to hear back from you. 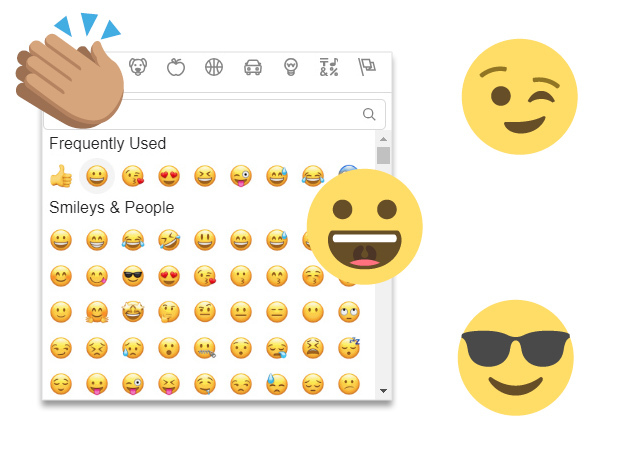 Everyone loves emojis whether it’s a happy face, a sad one or even a grinning poop! We let you make full use of these fun little icons without it costing you any extra. We’ve a huge range to suit every mood. We also keep up to date with the latest supported devices for Android or iOS so you aren't left behind. More and more businesses are using their business name as a branded message to their customers. 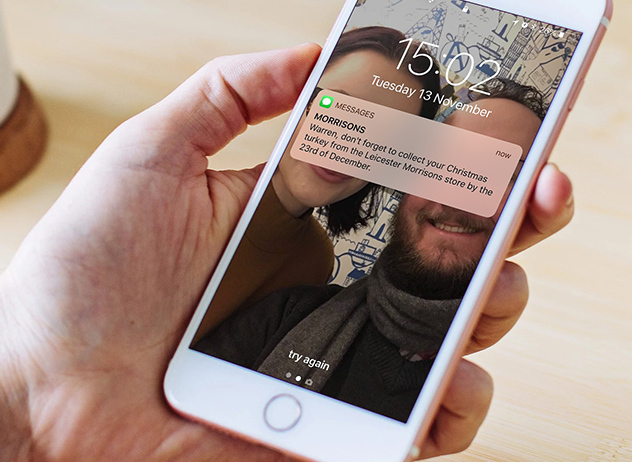 Branded messages are supported on all devices and instantly let customers recognise who’s sent them a message. 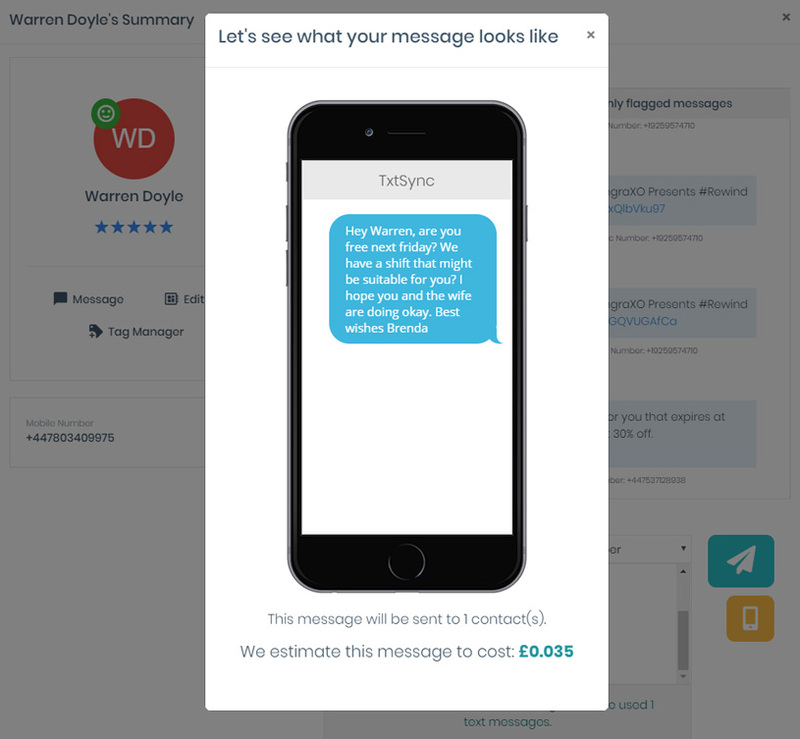 Brands like Dominoes, Next and many other high street brands already use Sender ID in all their outbound messaging and we’ve made it easy for you to join them.